The first and second Forest of Dean Gold Leaf Quests ran consecutively and were launched by Forest of Dean Tourism in 2002 and were based in the Gloucestershire forest - within the bounds of Ordnance Survey Explorer Outdoor Leisure (OL) Map 14. This is not an armchair hunt. In each hunt a mobile with oak leaves fashioned copper hung among the Forests 24,000 acres - at eye-level and within easy reach of an established path or track. 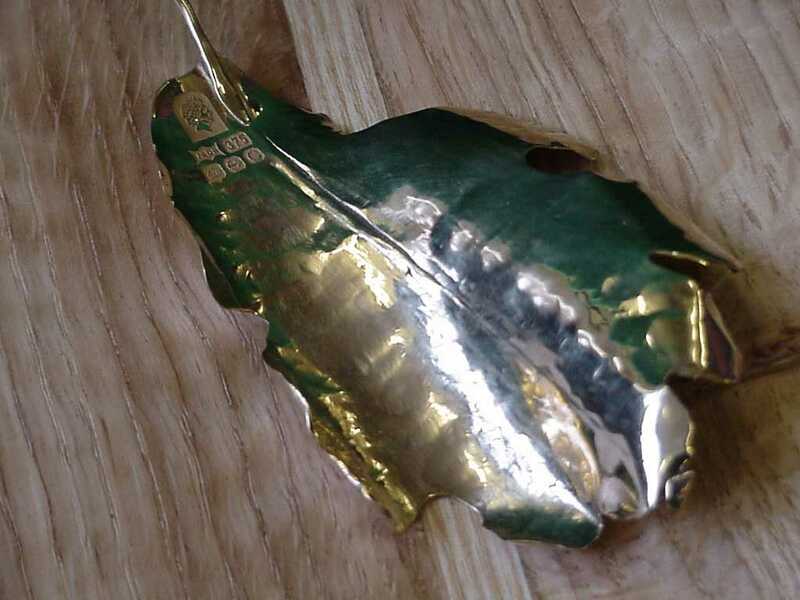 The hunts were open to all visitors to the Forest and the finder of each mobile could claim the solid Gold Leaf valued at over £1,000 by calling a phone number engraved on the mobile. Each of the prize Gold Leaves is a unique design created by local artist Dee Palin of the Jade Workshop in Blakeney, and each took more than six weeks to complete. They have been specially laser hallmarked by the Assay Office in Birmingham with the Queens Jubilee mark, one of a very limited number of pieces to receive the symbol during Her Majestys ascension to the throne. Each leaf is presented in a Forest oak case, hand-made by local craftspeople David and Audrey Martin. The current prize Gold Leaf is on display under tight security at the Dean Heritage Centre to show visitors what they could win. During the hunts, cryptic clues were released every two weeks on posters at key attractions throughout the Forest and on the website at www.forestofdean.gov.uk. At the first hunt's launch, Rachel Lewis, tourism officer for Forest of Dean District Council, said: "We hope the Gold Leaf quest will become that added extra reason that people decide to come to the Forest of Dean for their weekend break. The hunt has been designed purely as a bit of fun for visitors, and there is more than enough space in the Forest for it to be well hidden- and for people to keep on looking for it! The Leaf's reputation continues to grow and it has become a reason for people to come back to the Forest again and again. The second quest opened on 3 August 2002 until Sunday 3 November 2002 and followed the highly succesful first Gold Leaf Quest which began on 23 March 2002 and ran until July 2002. Remarkably both quests were completed by TATHC club members Rob and Diane Farmer. The first mobile was found on the edge of the Speech House Lake near Great Saintlow at SO 633 116, and had it not been found the first hunt was due to close on 31 October 2002. For more information contact Forest of Dean Tourism on 01594 812387 or visit the website at www.forestofdean.gov.uk.